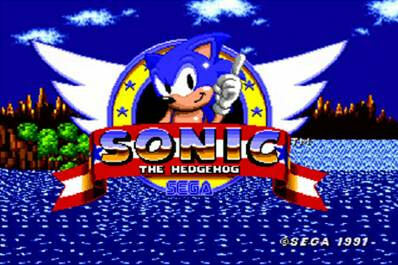 Sonic Classic Collection Coming to PSN Next Week? Whilst everybody has been getting excited over ASRT and Sonic the Fighters, it seems something has slipped under the radar. Website PSNStores.com who list sneak peeks of what will be on the Playstation Store in the coming weeks are claiming that a ‘Sonic Classic Collection’ will be coming to the PSN next week. This is… rather strange. Mainly because whilst Xbox 360 owners have been able to enjoy more or less all the main classic Sonic titles via the Xbox Live Arcade, PS3 owners have only had Sonic 1 & 2 since 2011 with no sign of Sonic 3 or Sonic & Knuckles. Is this a sign that PS3 owners will finally get Sonic 3 & Knuckles!? Are the online services finally going to get equal content! Will we get a new generation of people screaming HOW DO YOU GET PAST THIS BARREL!? Or is it just Sonic 1 & 2 bundled together!? Tune in next week! Same TSS Time, Same TSS Channel. And no that is not going to become a new catchphrase! Nices puns. Up and down, up and down. It’s so simple. OMG, thatt damn barrel took me YEARS! Seriously, I think I was in high school and some guy told me the manual said you could push up and down and I was like WTF!!!!!! Also, I love that Sonic Shorts dealt with that. I’m surprised SEGA hasn’t done a Sonic & Knuckles Collection under the Vintage Collection label. Sonic the Hedgehog 3, Sonic & Knuckles and Sonic the Hedgehog 3 & Knuckles all thrown together, with the option of playing with the Genesis OR PC audio. Perhaps they could even add Sonic 3’s save feature to Sonic & Knuckles. If Backbone touched this, my money will stay safe in my wallet. It won’t be a PS3 port of that wreck. It might have the bonuses (which it most likely won’t) but it will certainly not go without a fresh porting job. That brings back some memories. I actually made it past that barrel before learning the up/down knowledge once. Took over a month, though. I thought it was crazy to put something that needed that much precision in a game at the time. Cool, but you know what would be great? If this came to PS VITA, BECAUSE WE HAVE ZERO SONIC GAMES ON PS VITA IF YOU DON’T COUNT SONIC RIVALS 1 & 2! ZERO! GAMES! Oh, believe me, the PS Vita is more than capable of those Dreamcast titles, so that would be splendid. Genesis Sonics, Dreamcast Sonics, and Sonic 4 I & II would be great. I know SEGA doesn’t care too much about the Vita, but at least ONE Vita-exclusive Sonic title would be great. If not, then maybe that ‘2013 Sonic boxed title’ could come to Vita as well, considering it’s capabilities are equal to, if not almost at the PS3’s capabiliyies. So, you’re saying it can’t play SA2 and the classic games? LOL! Hope it’ll have the online race feature in Sonic 2 and 3! I WANT MY SONIC ADVANCE COLELCTION TOO!!! It’s just Sonic 1 and 2 for free for ps+ members. It was revealed today on Sony’s blog.